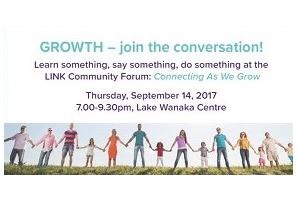 LINK, in partnership with the Wanaka Community Board, hosted a community-wide conversation on September 14 2017, on the topic of growth – the opportunities it presents and the challenges we face. hosted an interactive expo where attendees could connect with community leaders and groups, giving input or pitching new ideas. LINK Facilitator Kathy Dedo MC’d the night and shared the LINK 3 Questions survey results, using ten video spotlights to inspire the crowd with stories of successful community-led development happening right now. Wanaka Community Board Chair Rachel Brown welcomed the crowd, Deputy Mayor Calum MacLeod took us through the growth projection numbers, Councillor Ross McRobie explained the Ten Year Plan process, and Mayor Jim Boult shared his observations of what he’s heard here in Wanaka and the implications of growth for both Council and community. The video spotlights also gave the chance to share perspective on the future from a variety of community leaders, who answered questions during the expo. The expo was buzzing with community groups sharing what they’re up to – providing a chance to individuals to connect with them and for the groups to connect with each other. We’ve made the presentation available on our website here for your review. If you’d like to use any of the content, please contact Sophie or Kathy at LINK to request permission. We’ve included the speakers notes in the presentation. 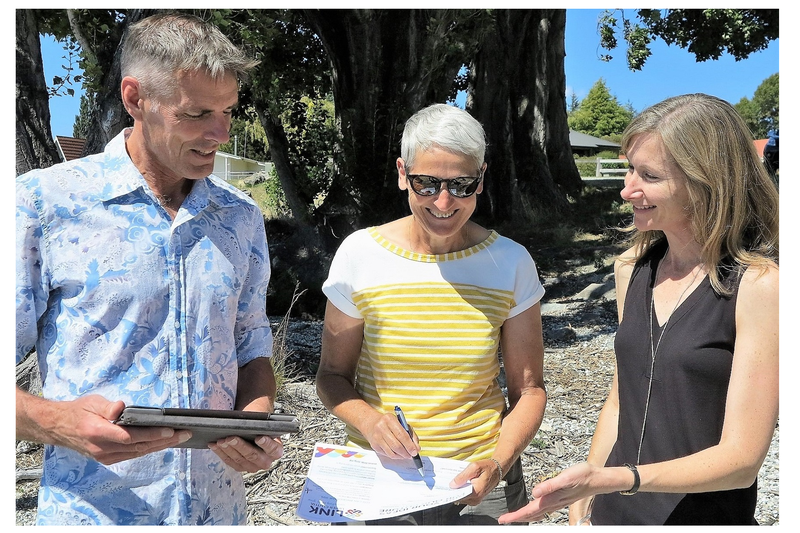 LINK has collated all input from the night and will provide to the Wanaka Community Board as they work toward an Upper Clutha priority list for the Ten Year Plan next year. Amplifying our community’s voice is part of our role. A huge thanks to everyone who participated in the forum; those who invested their time in attending, the community groups and organisations involved in the expo, our community spotlight video interviewees, QLDC for the event venue, Peak Functions for the video filming venue, and last but not least the Wanaka Community Board.